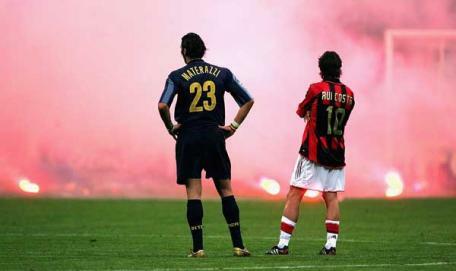 Today's Derby della Madonnina at the San Siro definitely lived up to the hype, well, it lived up to the hype for Milan fans and neutrals, not so much for Inter and its fans. Fueled by a Pato brace, Milan totally dominate Inter in a 3-0 victory. Coming into today's Derby, Milan sat atop the table in Serie A, but Inter was only two points behind, making a charge to win the Scudetto again. While today's victory doesn't even come close to sealing up the Scudetto for Milan, it gives them some breathing room with only 7 matchweeks left in Serie A.